It has been decades since Melbourne's Preston Markets had a face-life, but following a Town Planning Permit approval a revitalisation project is underway to bring the market into a new age for a new generation,Salta Properties Managing Director Sam Tarascio said that the renewal of the market has been on the cards for some time and the joint venture partners are looking forward to working with traders to deliver a sustainable and revitalised market for the northern suburbs. “For the most part, the market has not been touched since the 1970’s and we are thrilled that we can now get on with improving the market for our loyal shoppers and introduce the market to a new generation," he said. “The works will reinforce Preston Market’s position as a unique shopping precinct and we are looking forward to working with our traders to bring new life to the market. "The renewal will involve major sustainability improvements to cement the markets' position as a cultural and shopping destination for the future. “A key focus of the works is the introduction of a range of environmental and sustainability initiatives. "These include the installation of solar panels on the roof, onsite waste treatment, recycling improvements and smart building technologies that will reduce the carbon footprint of the market,” Mr Tarascio said. The renewal has been designed by Melbourne architects NH Architecture and Breathe Architecture and, along with the environmental and sustainability initiatives, will also involve improved public amenities, parent rooms, public walkways and a new customer information centre. Existing buildings and public spaces will also be upgraded to add new child play areas and landscaping. According to employment data supplied by Essential Economics, it is estimated that the works will support more than 35 jobs during construction and add almost 60 new retail jobs upon completion. 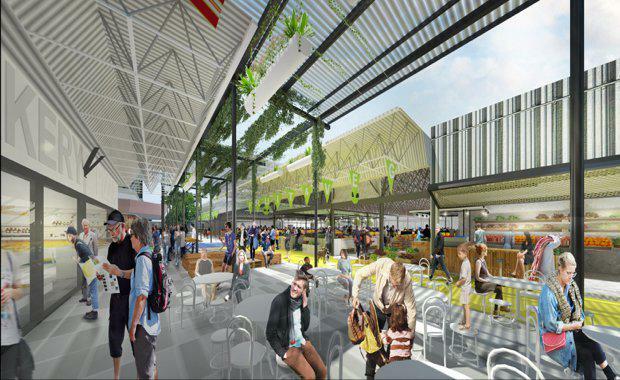 “The renewal will generate significant employment and business opportunities for the local community and a major economic boost for Darebin,” Mr Tarascio said. Though there will be some interruptions during construction, Preston Market will remain open and operate as normal during the renewal.